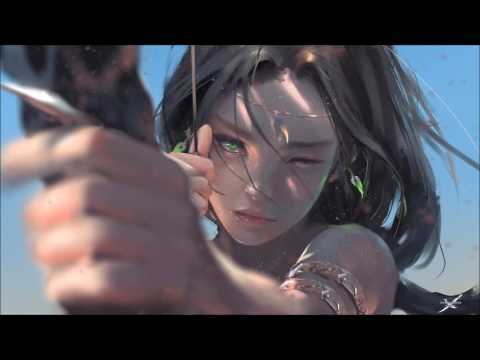 Epic Chillstep Collection 2015 2 Hours....! 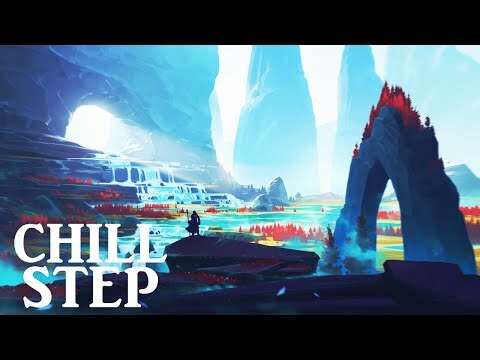 Chillstep has been one of my favorite genres for quite some time now. 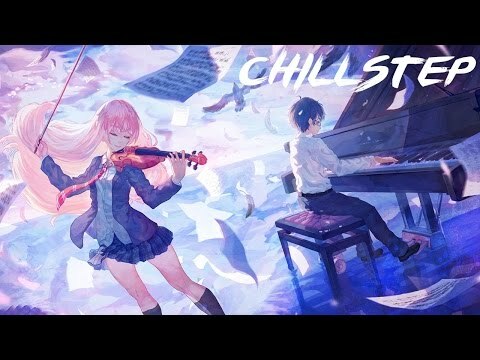 So here is an epic 2 hour chillstep mix/collection! Thanks for 28 000+ subscribers and for being as awesome as you are. If you like this chillstep mix then drop a like, share it around and leave a comment :) You're also welcome to join The Empire: http://bit.ly/1uYmLU2 Join The Empire: Facebook: http://on.fb.me/1xwpKED Twitter: http://bit.ly/1tp7bwV SoundCloud: http://bit.ly/1xqHgev ♪Download Mix: http://bit.ly/1bduVD0 ••••••••••••••••••••••••••••••••••••••••­­•••••••••••••••••••••••••••••••••••• Epic chillstep collection tracklist: Andreas B - Floating 0:00 CMA - Tommorow's Another Day 4:13 Jacoo - Cosmos 8:34 Julian Kruse - Fallen From The Sky 11:42 Hereafter - Only You 15:36 Jabricon - Light At The End 18:48 CMA - Don't Look Back 22:33 Electus - Temple Of Light 27:08 SizzleBird - Memory 31:04 Sacred - Reaching Out 34:12 CMA - It Is What It Is 39:19 SizzleBird - Landing 42:47 Jimmis - Flying Home 46:56 Jacoo - If You Only Knew 49:45 Electus - Imaginary Friend 52:52 CMA - Ku'uipo 57:14 Mykool - Ikiru 1:01:08 Slevemor - After The Rain 1:06:54 Poolz - You Don't Have To 1:13:42 Vexaic - Goodbye 1:18:08 SizzleBird - Elixir 1:22:39 Jabricon - Daydreaming 1:26:40 Electus - Another World 1:30:11 Jacoo - Withering 1:36:02 CMA - You're Free 1:39:28 Killigrew - Timeless As The Waves 1:44:58 Blure - Cycle Of Life 1:49:51 Skyvoice & Blure - Take Me Away 1:53:10 Soulfy - When The Sun Sets 1:56:14 Subtact - Falling 2:00:03 ••••••••••••••••••••••••••••••••••••••••­­•••••••••••••••••••••••••••••••••••• Picture by Wang Ling: http://wlop.deviantart.com/ Picture Download: http://wlop.deviantart.com/art/Sky-Lanterns-442002652 ••••••••••••••••••••••••••••••••••••••••­­•••••••••••••••••••••••••••••••••••• *If you as an artist(artwork or music)/label have anything against my uploads (use of content etc. ), please don't make a scene, send me a private message here(Youtube), Google+ or my email adress: arcticempire@outlook.com and I'll take it down. 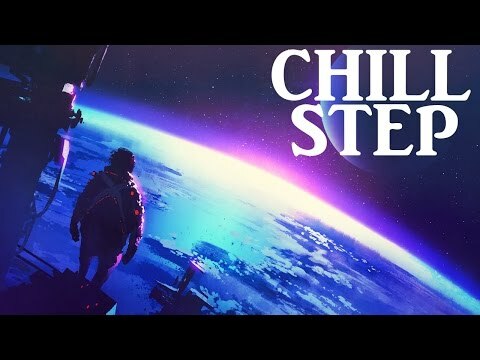 Chillstep collection is back! This is a 2 hour chillstep mix (chill mix) for all of you to enjoy. I really hope you guys like this chillstep mix of mine! Thanks for the immense support these past years. I hope 2017 is another good one. 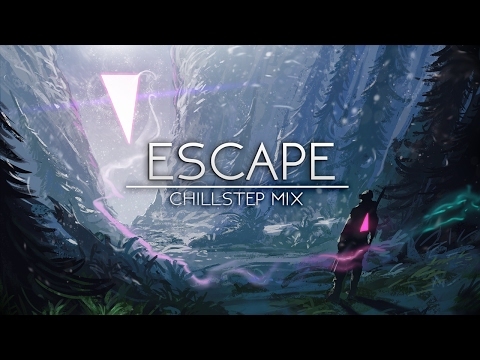 If you like this chillstep mix then drop a like, share it around and leave a comment! Also remember to Join The Empire: http://bit.ly/1uYmLU2 ♪ Download/Stream Epic Chillstep Collection 2017: Coming on soundcloud soon! Join The Empire Spotify: http://sptfy.com/W0q Twitter: http://bit.ly/1tp7bwV SoundCloud: http://bit.ly/1xqHgev Facebook: http://on.fb.me/1xwpKED Snapchat: arcticempireee ••••••••••••••••••••••••••••••••••••••••­­•••••••••••••••••••••••••••••••••••• Epic chillstep collection tracklist: Andreas B - Hybrid 0:00 Kozah - Dream State 3:53 Aurora B - Lost In Paradise 8:09 Vexaic - Afar, We Stand 12:34 Sappheiros - Aurora 15:33 AK & Mapps - Life Cycle 19:34 Mapps - Don't You Dare 23:10 Sappheiros - Smile 27:24 Fabled - Falling Away 30:50 Sappheiros - Passion 34:45 Noctilucent - I Can't Even 37:57 Rous - Youth's Lost Voice 39:58 AK & Faodail - As Time Goes By 43:56 Kisnou & Blure - Falling Deeper 47:36 AK, Mapps & October Child - Sublime Weakness 51:49 Vorsa - Losing Sleep 55:20 Vexaic - Without You 57:54 (Ending Pt.1) Andreas B. - Miracle 1:00:06 Moomimurr - Butterflies 1:03:41 Eyeris - If All Else Fails 1:08:30 Sappheiros - Time Stands Still 1:12:18 Fabled - Written Imagination 1:15:25 Finding Hope - Tell Me (Instrumental) 1:19:34 Kisnou - Same Destiny 1:22:54 LAIRE - Vanished 1:25:54 AK & Mapps - Life Essence 1:29:46 Wizdom - Lifted 1:34:54 Resonance - Loneliness 1:38:33 Kisnou - Invictus 1:42:09 Sappheiros - View From Above 1:45:36 Electus - I'll Miss You Forever 1:50:00 Makuda - Valley 1:53:06 Evence - I Just Want You 1:55:50 Kindred - With U 2:00:20 Andreas B - The Way You 2:03:57 ••••••••••••••••••••••••••••••••••••••••­­•••••••••••••••••••••••••••••••••••• Thanks to all these artists and labels for making this collection possible! Follow Andreas B Soundcloud: https://soundcloud.com/asbsounds Facebook: https://www.facebook.com/ASBsounds Follow Sappheiros: Soundcloud: https://soundcloud.com/sappheirosmusic Facebook: https://www.facebook.com/SappheirosMusic Follow Finding Hope Soundcloud: http://bit.ly/1QGJT6q Facebook: http://bit.ly/1SWzkIq Follow Aurora B Polaris Soundcloud: https://soundcloud.com/auroraborealismusic Facebook: https://www.facebook.com/AuroraBorealisOfficial Follow Vexaic Soundcloud: http://bit.ly/1NkvAoe Facebook: http://bit.ly/1SQvL7q Follow October Child Soundcloud: http://bit.ly/1mmYxTj Facebook: http://bit.ly/1VP9gFE Follow Electus Facebook: http://bit.ly/JB8hHh SoundCloud: http://bit.ly/1qcpeab Follow AK Soundcloud: http://bit.ly/1KqGXX3 Facebook: http://bit.ly/1UjfXzA Follow Mapps Soundcloud: https://soundcloud.com/officialmapps Facebook: https://www.facebook.com/officialmapps Follow Resonance Soundcloud: https://soundcloud.com/resonancemuzik Follow Fabled Soundcloud: https://soundcloud.com/fabledofficial Facebook: https://www.facebook.com/fabledofficial Special thanks to AIA Soundcloud: https://soundcloud.com/aiagency Chinchilla: https://soundcloud.com/chill Wonderlust: https://soundcloud.com/future Special thanks to Remissum Records Soundcloud: https://soundcloud.com/remissum-records Facebook: https://www.facebook.com/RemissumRecords/?ref=hl ••••••••••••••••••••••••••••••••••••••••­­•••••••••••••••••••••••••••••••••••• Picture by Tithi Luadthong Shutterstock: https://www.shutterstock.com/g/Tithi+Luadthong Picture Download: http://bit.ly/2ihMmKR ••••••••••••••••••••••••••••••••••••••••­­•••••••••••••••••••••••••••••••••••• *If you as an artist(artwork or music)/label have anything against my uploads (use of content etc. ), please don't make a scene, send me a private message here(Youtube), Google+ or my email address: arcticempire@outlook.com and I'll take it down. Epic Chillstep Collection 2018 [2 Hours] is the latest 2 hour chillstep mix by yours truly. I hope you guys enjoy this chillstep mix of mine! 2017 was a hard year for the channel, so let's hope 2018 is a better year hehe! Remember to drop a like, share it around and leave a comment! Also remember to Join The Empire: http://bit.ly/1uYmLU2 Join The Empire Spotify: https://spoti.fi/2y6lNgx Twitter: http://bit.ly/1tp7bwV SoundCloud: http://bit.ly/1xqHgev Facebook: http://on.fb.me/1xwpKED Snapchat: arcticempireee ••••••••••••••••••••••••••••••••••••••••­­•••••••••••••••••••••••••••••••••••• Epic chillstep collection tracklist: 0:00 Isolated - Òra 3:30 Kisnou - Madre Terra 7:10 Cash & Ferven - Rebirth 11:37 AK - Homebound 14:43 Spoken Bird - Beginnings 18:15 Ferven - Avidya 23:33 Cash - Heaven Above 31:27 Hang Øver - Insomnia 34:04 ELIESG - La Fleur 39:42 Kisnou - Legion 43:22 Cash & Ferven - Sentaku 49:35 AK & Mapps - Home 53:33 Toy Box - Let Go 56:46 Miro - Petals 1:00:56 Sappheiros & Almaa - Dreams 1:05:40 Ferven - Falling 1:09:51 Kisnou - Cycle 1:14:00 AK & Mapps - Sonder 1:16:50 Sappheiros - Embrace 1:21:10 Isolated - Temporare 1:24:07 Fugue - Trails 1:28:28 AK & Mapps - Tired 1:31:48 Ferven - Surrender 1:35:32 Kisnou - New Descent 1:39:10 Sappheiros - Dawn 1:42:40 Kisnou - Tales of The Winter Souls 1:45:48 Ryke - Numb 1:48:15 Kisnou - Far From Me 1:51:54 AK & Mapps - The Proposal 1:55:46 Aero Jay - Oblivion 1:58:10 Kisnou - We'll Meet Again 2:03:59 Cash - Serenity Part 2 2:12:23 Miro - Silence II ••••••••••••••••••••••••••••••••••••••••­­•••••••••••••••••••••••••••••••••••• Thanks to all these artists and labels for making this collection possible! Follow Isolated Soundcloud: http://bit.ly/2j2Hkmq Facebook: http://bit.ly/2CNpw4B Follow Kisnou Soundcloud: http://bit.ly/1qHOxXa Facebook: http://bit.ly/2CyzHfB Follow Ferven Soundcloud: http://bit.ly/2hrblLz Facebook: http://bit.ly/2r2A9KQ Follow Sappheiros Soundcloud: https://soundcloud.com/sappheirosmusic Facebook: https://www.facebook.com/SappheirosMusic Follow AK Soundcloud: http://bit.ly/1KqGXX3 Facebook: http://bit.ly/1UjfXzA Follow Cash Soundcloud: http://bit.ly/2eaDBMp Facebook: http://bit.ly/2ClE3mZ Follow Miro Soundcloud: http://bit.ly/1UB4r1Q Facebook: http://bit.ly/26VZipQ Follow Mapps Soundcloud: https://soundcloud.com/officialmapps Facebook: https://www.facebook.com/officialmapps Special thanks to AIA Soundcloud: https://soundcloud.com/aiagency Chinchilla: https://soundcloud.com/chill Wonderlust: https://soundcloud.com/future ••••••••••••••••••••••••••••••••••••••••­­•••••••••••••••••••••••••••••••••••• Picture by As109 Shutterstock: https://www.pixiv.net/member.php?id=1226647 Picture Download: http://bit.ly/2CBoNWC ••••••••••••••••••••••••••••••••••••••••­­•••••••••••••••••••••••••••••••••••• *If you as an artist(artwork or music)/label have anything against my uploads (use of content etc. ), please don't make a scene, send me a private message here(Youtube), Google+ or my email address: arcticempire@outlook.com and I'll take it down. 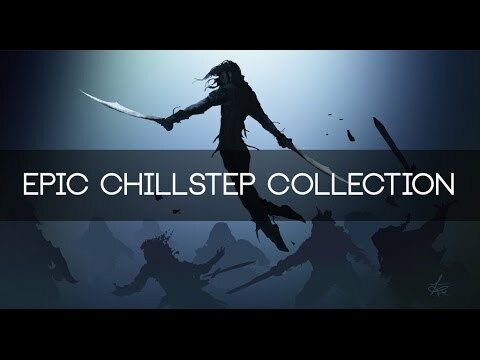 Chillstep collection is back. 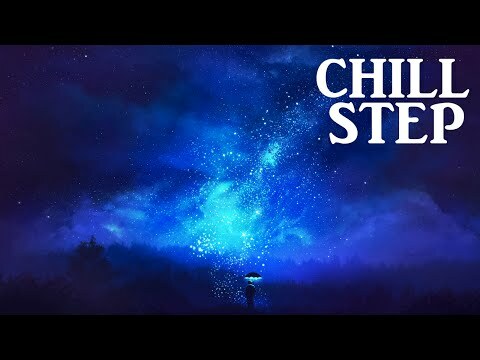 Epic Chillstep Collection 2016 is 2 hours of chillstep and other chill music. Chillstep collections are a big part of Arctic Empire and I really hope you like this one! 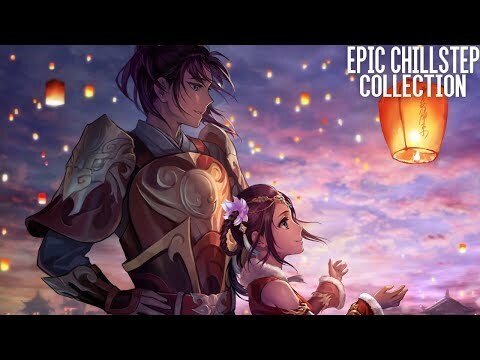 If you like this chillstep mix then drop a like, share it around and leave a comment :) If you like what you see/hear, you're welcome to join The Empire: http://bit.ly/1uYmLU2 ♪Download/Stream 'Epic Chillstep Collection 2016': http://bit.ly/2cz0dJg Join The Empire: Facebook: http://on.fb.me/1xwpKED Twitter: http://bit.ly/1tp7bwV SoundCloud: http://bit.ly/1xqHgev Snapchat: arcticempireee ••••••••••••••••••••••••••••••••••••••••­­•••••••••••••••••••••••••••••••••••• Epic chillstep collection tracklist: Faux Tales - Prologue 0:00 Vexaic - Final Call 3:05 Miro - The Garden of Escapism 7:32 Eyeris - All In Good Time 10:27 Covex - Alone 14:17 Direct & Finding Hope - Falling Into Place 17:33 Miro - The Garden of Escapism (AK Remix) 21:42 Eyeris - Run Away 25:14 Finding Hope - Without You (Instrumental Mix) 29:58 AK - Lovestory 33:05 October Child - Shatterstory 36:25 Elekid - Melting Ice 38:35 Vexaic - Arise 42:44 Electus - Forever 45:47 Miro - The Garden of Memories (Instrumental Mix) 49:11 October Child - Expressions 52:47 Faux Tales - Envoy 56:25 Aueria - Norah's Lullaby 1:00:42 Vexaic - We Used To Be 1:03:14 AK - Icicle 1:06:03 Eyeris - Buried 1:08:41 Cloudsz - Lucid 1:14:35 Cresce - When I Die 1:18:41 AK - Reflections 1:20:40 Finding Hope - Happen To You (Instrumental Mix) 1:23:37 Two Ways - These Years 1:27:05 Nar - Waiting For You 1:30:48 Aueria - I Hope You're Not Sleeping As Tightly As You Used To Be 1:34:34 Electus - Oliver's Garden 1:37:41 AK - Devotion 1:41:38 Kindred - Stay 1:45:15 October Child - Skyrunner 1:49:07 Vexaic - Soar The Skies 1:54:16 Faux Tales - Avalon 1:57:28 ••••••••••••••••••••••••••••••••••••••••­­•••••••••••••••••••••••••••••••••••• Support the producers Follow Faux Tales Soundcloud: http://bit.ly/1jdkza7 Facebook: http://bit.ly/1Ya8Ck3 Follow Vexaic Soundcloud: http://bit.ly/1NkvAoe Facebook: http://bit.ly/1SQvL7q Follow Miro Soundcloud: http://bit.ly/1UB4r1Q Facebook: http://bit.ly/26VZipQ Follow Eyeris Soundcloud: http://bit.ly/1rrKqyT Youtube: http://bit.ly/1WKoye1 Follow Covex Soundcloud: http://bit.ly/1QJR9h4 Facebook: http://bit.ly/1SQwbL7 Follow Finding Hope Soundcloud: http://bit.ly/1QGJT6q Facebook: http://bit.ly/1SWzkIq Follow AK Soundcloud: http://bit.ly/1KqGXX3 Facebook: http://bit.ly/1UjfXzA Follow October Child Soundcloud: http://bit.ly/1mmYxTj Facebook: http://bit.ly/1VP9gFE Follow Elekid Soundcloud: http://bit.ly/1yhFAD2 Facebook: http://bit.ly/1VKXV9L Follow Electus Facebook: http://bit.ly/JB8hHh SoundCloud: http://bit.ly/1qcpeab Follow Aueria Soundcloud: http://bit.ly/1W9HTGw Facebook: http://bit.ly/1rw8e53 Follow Cloudsz Soundcloud: http://bit.ly/1ZgEWls Facebook: http://bit.ly/1q1Cp2B Follow Cresce Soundcloud: http://bit.ly/1TRjpzj Facebook: http://bit.ly/1Ycmsmb Follow Two Ways (a.k.a Arctic Empire) Soundcloud: http://bit.ly/1RdteHo Facebook: http://bit.ly/1r7a2kN Follow Nar Soundcloud: http://bit.ly/24tfSyL Facebook: http://bit.ly/1SOw6uQ Follow Kindred Soundcloud: http://bit.ly/1SOw6uQ Facebook: http://bit.ly/1pHR4dz Special thanks to AIA Chill: Soundcloud: http://bit.ly/1oFQM8a Facebook: http://bit.ly/1UB5AXd ••••••••••••••••••••••••••••••••••••••••­­•••••••••••••••••••••••••••••••••••• Picture By Anton Fadeev (DUELYST ARTWORK) Artstation: https://www.artstation.com/artist/shant Twitter: https://twitter.com/shant_elife Picture Download: https://www.artstation.com/artwork/yo6EQ ••••••••••••••••••••••••••••••••••••••••­­•••••••••••••••••••••••••••••••••••• *If you as an artist(artwork or music)/label have anything against my uploads (use of content etc. ), please don't make a scene, send me a private message here(Youtube), Google+ or my email adress: arcticempire@outlook.com and I'll take it down. Original Description from MOR Music: Published on Aug 4, 2012 "MOR Music: https://www.facebook.com/MorNetwork For my 200th video I have put together a 2 hour mix, more of a playlist of some of my favourite chillstep tracks with a few liquid DnB and future garage tracks thrown in. Press play and chill out to the sweet melodic sounds! Tracklist: 1.) Little Dragon - Twice (16 Bit Remix) 0:00 2.) Metric - Empty ( SizzleBird Remix ) 2:56 3.) Motorcycle - As The Rush Comes (High Rankin Remix) 7:02 4.) Moonbeam - Disappearance (Monsta Killa Dubstep Remix) 12:24 5.) Temper Trap - Sweet Disposition (Alto Remix).mp3 16:07 6.) Emily Underhill - Lost In Me (Splinter's eMotion Pictures Remix) 21:37 7.) LuQuS - Black and Blue 27:26 8.) Rimshox - Reality Check 29:44 9.) Jodi & Hosta - My Life 33:52 10.) Artful ft. Kal Lavelle - Could Just Be The Bassline (Kolendo Remix) 40:33 11.) 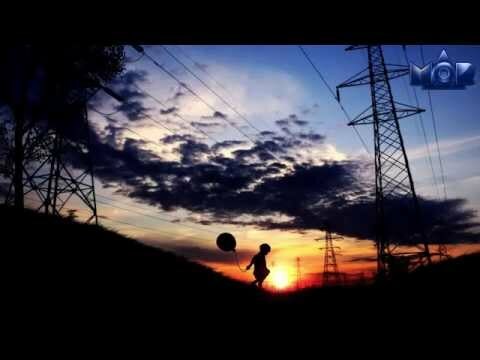 Metric - Collect Call (Imij Remix) 43:47 12.) Deadmau5 - Strobe (Mr FijiWiji Remix) 49:21 13.) EvenS - Tell 53:29 14.) Rameses B - North 57:04 15.) 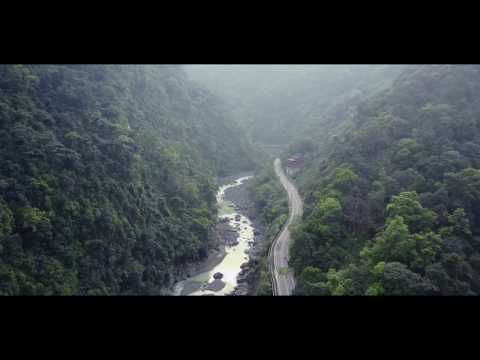 Portishead - Roads [Hosta Late At Night Bootleg] 1:01:49 16.) Drome - Sunshine (Skit Remix HOME MASTER) 1:07:17 17.) 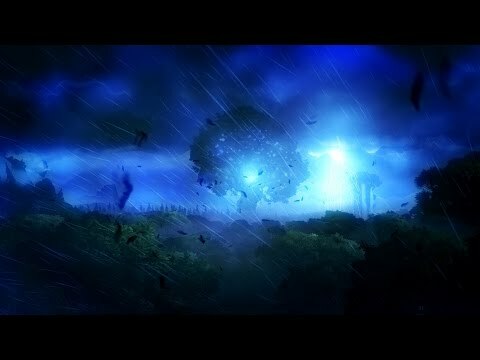 :papercutz - Rivers (Synkro Remix) 1:11:25 18.) Owsey - I'll Remain Under Our Antique Sky 1:17:04 19.) CoMa - Wouldn't it be good if it was true 1:23:02 20.) Clams Casino - I'm God 1:26:12 21.) nExow Ft. Bijou Winters -Corrosion 1:30:44 22.) Cross Them Out - Approaching Dusk ft. Holly Drummond 1:35:10 23.) Angus & Julia Stone - Take You (SizzleBird Remix) 1:39:37 24.) 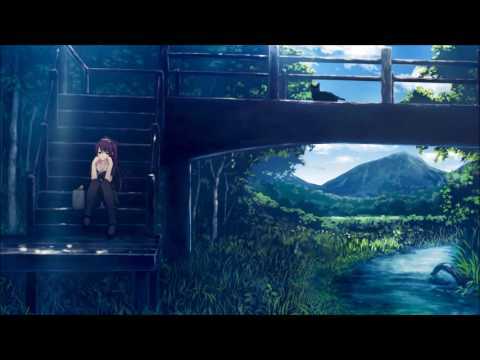 MitiS - There Within 1:42:59 25.) TheFuneral (Butch Clancy Remix) 1:46:16 26.) Blue Foundation - Eyes On Fire (Zeds Dead Remix) 1:51:21 27.) 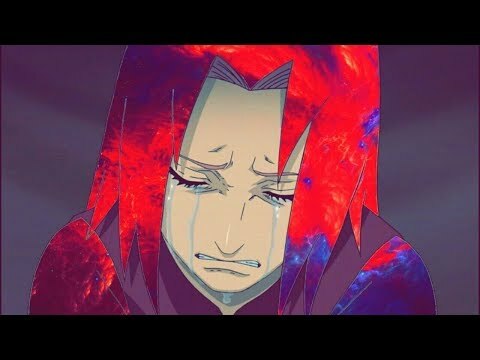 Florence And The Machine - Cosmic Love (Seven Lions Remix) 1:56:32 Find us on: https://www.facebook.com/Chillstep http://soundcloud.com/morchillstep http://www.chillstep.info/ - 24/7 Online chilled dubstep radio ________________________________________­_________ Subscribe: http://www.youtube.com/user/MORchillstep Subscribe: http://www.youtube.com/user/MORchillepmusic ________________________________________­_________ Download Link: http://www.sendspace.com/file/ulm4gx Picture: http://wallbase.cc/wallpaper/1839097" ________________________________________­_________ This video was uploaded for non-commercial use. This is simply an archived video from the MOR Network channel. If any of the parties affiliated (producer, label, artist, etc.) with this video have an issue with the upload, please contact me (dayzarmando@gmail.com) and I will remove the video. 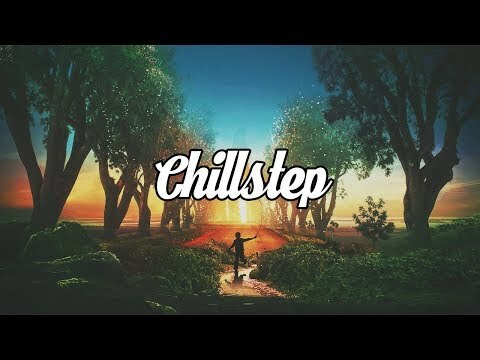 I love chillstep, you love chillstep, we all love the beautiful genre chillstep! 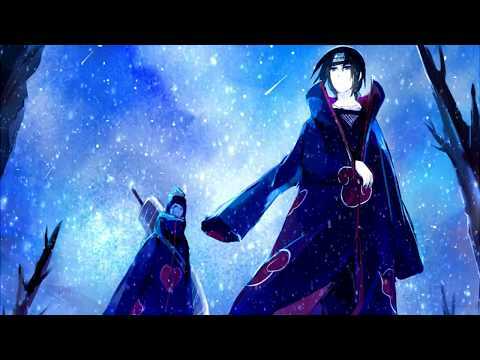 Beautiful chillstep mix/Collection is basicly part 2 of my 'Epic Chillstep Collection'. If you like this chillstep mix then drop a like, share it around and leave a comment :) You're also welcome to join The Empire: http://bit.ly/1uYmLU2 Join The Empire: Facebook: http://on.fb.me/1xwpKED Twitter: http://bit.ly/1tp7bwV SoundCloud: http://bit.ly/1xqHgev ♪Download Chillstep Mix: http://bit.ly/1IQgCxA ••••••••••••••••••••••••••••••••••••••••­­•••••••••••••••••••••••••••••••••••• Beautiful chillstep collection tracklist: Blackmill - Rain 0:00 CMA - Caught In Our Thoughts 5:38 Audile - Different World 9:36 Jacoo - Memories 12:48 Aerocity - Love Lost 16:03 SoundNet - Tunnel Lights 19:03 Audile - Forever 23:08 Sina. - Days Go By 26:35 Idle Mind - Resonate 29:30 The Lonely Astronaut - Dark Days Behind Us 33:48 Idle Mind - Close 39:49 David Quinn - Empty 42:50 Tom Day - Flemington (Sean Mackey Remix) 46:23 Shockline - Alive 49:47 Jacoo - Andromeda 53:55 SizzleBird -Wonderland 57:24 Tom Day & Monsoonsiren - Dreams 1:00:57 CMA - You're Not Alone 1:04:55 Jimmis & Actium - Take My Hand 1:09:25 Hereafter - Wherever You Go 1:12:57 Rameses B - Better Days 1:17:02 Anima - Incubating in Ice 1:21:52 Vexaic - Lifted 1:26:05 Chase The Tide - Stolen Promises 1:29:23 Electus - Just Believe 1:33:59 Vexaic - Scarred Heart 1:38:03 Blure - Solace (ft. Telepathics) 1:41:34 Ampyx - From The Sea 1:45:45 CMA - Friends 1:49:33 Reaktion - Mirage 1:54:23 Gate - Relief (Subtact Remix) 1:59:16 Said The Sky - Darling (VIP) 2:03:29 ••••••••••••••••••••••••••••••••••••••••­­•••••••••••••••••••••••••••••••••••• Picture by Keiiii: http://keiiii.deviantart.com/ Picture Download: http://keiiii.deviantart.com/art/His-First-Sunset-514247540 ••••••••••••••••••••••••••••••••••••••••­­•••••••••••••••••••••••••••••••••••• *If you as an artist(artwork or music)/label have anything against my uploads (use of content etc. ), please don't make a scene, send me a private message here(Youtube), Google+ or my email adress: arcticempire@outlook.com and I'll take it down. 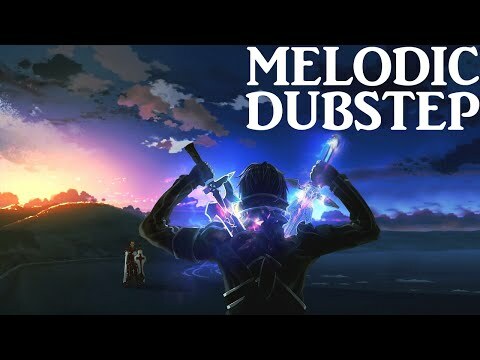 Melodic Dubstep, I mean what can I say? I absolutely love melodic dubstep! Epic melodic dubstep collection/mix 2015 is part 2 of my epic melodic dubstep collection series! 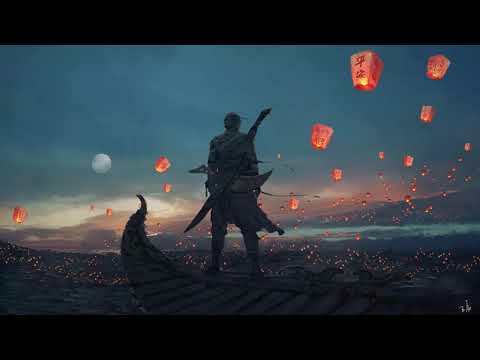 If you like this melodic dubstep mix then drop a like, share it around and leave a comment :D You're also welcome to join The Empire: http://bit.ly/1uYmLU2 Join The Empire: Facebook: http://on.fb.me/1xwpKED Twitter: http://bit.ly/1tp7bwV SoundCloud: http://bit.ly/1xqHgev ♪Download Mix: http://bit.ly/1UKMkCx ••••••••••••••••••••••••••••••••••••••••­­•••••••••••••••••••••••••••••••••••• Epic Melodic Dubstep Collection 2015 Tracklist: Music Predators - Adventure Time [NCS Release] 0:00 MitiS & SubLioN - Beneath Us (Original Mix) 3:27 Mendum - Make It 7:47 Krys Talk - Fly Away [NCS Release] 11:05 Skrux feat Crywolf - Tides 15:23 Xanwow - Utopia 19:15 Faux Tales - Weightless (Feat Lucas Cusato) 23:37 Piece Of Meat - Quasar (Feat Laura Leaves) 28:14 Music Predators - Final Star 31:54 Said The Sky - Darling (Feat Missio) 35:21 Crywolf - Neverland (Feat Charity Lane) 39:01 Nightcall - Stuck In Dreams 45:12 Echos & Nightcall - Rainfall 48:55 Satellite Empire - Glow 52:26 Ziu x Nyanara - Unforgettable 55:50 BH - The Escapist [Simplify Recordings Release] 59:52 Ryan Exley - Cloud Connected[Philosophy Recordings Release] 1:04:01 Aether - Stargazer 1:08:28 Hollywood Principle - Breathing Underwater (Ether Remix) 1:11:41 Mendum - Stay With Me 1:16:09 Subtact - Anomaly [Seeking Blue Release] 1:18:57 Crystal Skies - Tides 1:22:43 Echos - Don't Let Me Go (Illenium Remix) 1:26:59 BH & Kirk Cosier ft. Cheney - Slipping Away [Philosophy Recordings Release] 1:30:59 Illenium & Said The Sky - Painted White ft. Cristina Soto [Gravitas Recordings] 1:34:28 Nightcall - Reverie 1:39:55 Mendum - Breathing 1:44:16 Music Predators - Atmosphere 1:47:41 Closed Eyes - Everlasting 1:50:57 BH & Venemy - Stay Strong [Philosophy Recordings Release] 1:54:50 Faux Tales - Atlas 1:58:05 ••••••••••••••••••••••••••••••••••••••••­­•••••••••••••••••••••••••••••••••••• Anime: Sword Art Online Picture Download: http://i.imgur.com/IyUMmIL.jpg ••••••••••••••••••••••••••••••••••••••••­­•••••••••••••••••••••••••••••••••••• *If you as an artist(artwork or music)/label have anything against my uploads (use of content etc. ), please don't make a scene, send me a private message here(Youtube), Google+ or my email adress: arcticempire@outlook.com and I'll take it down. 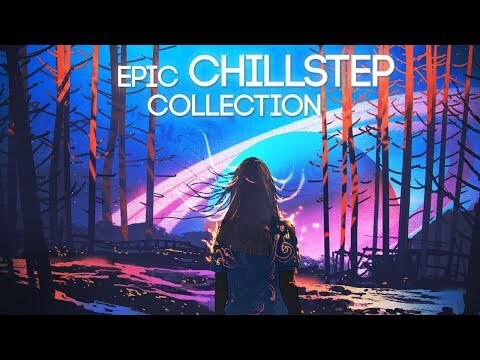 "chillstep" "Chillstep" "CHILLSTEP" "Epic Chillstep Collection 2015 [2 Hours]" "chilstep" "chillstp" "chilstp" "chill" "chilled dubstep" "chilled dubpstep" "dupstep" "dubstep chillstep" "blackmill" "electus" "cma" "'CMA' ~ Wonderful Chillout/Liquid Drum & Bass/Chillstep 4h Mix by MiXeR" "epic chillstep collection" "killigrew" "blackmill chillstep" "melodic dubstep" "melodic dupstep" "suicidesheep" "mrsuicidesheep" "suicidesheeep" "Chillstep Mix #1?Beautiful/Ambient/Relaxing?" "Ambient Music (Broadcast Genre)"
Remember to like and subscribe! 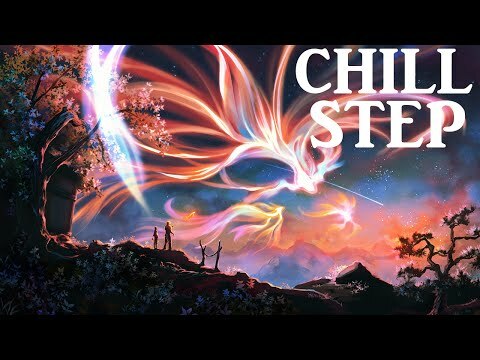 Chillstep & Chill Music in general is my favorite genre, so I hope you all enjoy this new 2 hour chill mix, it's the perfect relaxing music, gaming music, study music.. pretty much anything, enjoy! ⇩⇩⇩ Like me on Facebook - https://www.facebook.com/Mixhound Follow me on Twitter - https://twitter.com/Mixhound Follow me on Soundcloud - https://soundcloud.com/mixhound Amazing artwork by t1na - http://t1na.deviantart.com/art/A-bit-of-happiness-646495494 ♫ Tracklist; ►0:00 - Andreas B - The Way You ►3:39 - Kojak & Vexaic - Cecilia ►6:42 - Yal!X & Michael FK - The World Can Wait ►11:59 - Sappheiros - Aurora ►15:45 - Sappheiros & Almaa - Dreams ►20:18 - Cash & Ferven - Rebirth ►24:29 - Poolz - I'll be there, With You ►27:58 - Sappheiros - Thoughts Caught Adrift ►31:27 - Day 7 - Coming Home ►35:12 - Neutrin05 & Justin Jet Zorbas - Where We Once Stood ►37:35 - Sappheiros - Lullaby ►41:12 - Sappheiros - Time Stands Still ►45:01 - Yal!x - I ll Go On ►48:00 - Almaa - Walking on the Sky (Remake) ►52:51 - Aurora Borealis - The Great Discovery ►58:11 - Sappheiros - View From Above -------------------------------------------------------------------------------------------------------------------------- ►1:02:28 - Bassvomit - Last Wish ►1:06:36 - Resonance - Journey ►1:10:33 - Aurora B.Polaris - Lost In Paradise ►1:14:43 - Almaa & Caught Adrift - A Dream ►1:18:21 - Sappherios - Beyond (Almaa Remix) ►1:22:37 - Alex NK & Justin Jet Zorbas - Beyond The Horizon ►1:26:15 - Sappheiros & Caught Adrift - New Days ►1:30:18 - Resonance - Loneliness ►1:34:01 - Aurora B.Polaris & Justin Jet Zorbas - Chapter One (ft. Chloe Sandra) ►1:37:45 - Andy Leech & Justin Jet Zorbas - Reaching The Summit ►1:41:48 - Bassvomit - Broken Promises ►1:45:21 - Kisnou & Blure - Falling Deeper ►1:49:23 - Sappheiros - Escape ►1:53:24 - Sappheiros - Passion (Cash Rework) Follow all of these artists on soundcloud, to keep up to date with their music! Sappheiros: https://soundcloud.com/sappheirosmusic Yal!x: https://soundcloud.com/yalil Andreas B. https://soundcloud.com/asbsounds Cash: https://soundcloud.com/cash-official Day 7: https://soundcloud.com/day7official Kojak: https://soundcloud.com/kojakvibes Vexaic: https://soundcloud.com/vexaic Justin Jet Zorbas: https://soundcloud.com/justin-jet-zorbas Bassvomit: https://soundcloud.com/user-992116734 Kisnou: https://soundcloud.com/kisnoumusic Blure: https://soundcloud.com/bluremusic Aurora B. Polaris: https://soundcloud.com/auroraborealismusic Caught Adrift: https://soundcloud.com/caughtadriftofficial Alex NK: https://soundcloud.com/alexnk Michael FK: https://soundcloud.com/michaelfkofficial Andy Leech: https://soundcloud.com/andyleechmusic Almaa: https://soundcloud.com/almaamusic Resonance: https://soundcloud.com/resonancemuzik Neutrin05: https://soundcloud.com/neutrin05 Poolz: https://soundcloud.com/poolz Ferven: https://soundcloud.com/ferven Share it around if you enjoyed it, leave a like and a comment, also, if you want to hear more, hit subscribe to stay up to date! 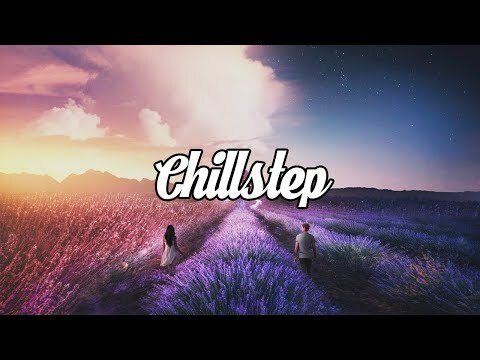 I like chillstep, so here's a new chillstep mix for you guys. hope you like it ^^ Join The Empire on Spotify: http://sptfy.com/W0q Join The Empire on Youtube: http://bit.ly/1uYmLU2 Join The Empire on Twitter, Soundcloud and Snapchat! Twitter: http://bit.ly/1tp7bwV SoundCloud: http://bit.ly/1xqHgev Facebook: http://on.fb.me/1xwpKED Snapchat: arcticempireee ••••••••••••••••••••••••••••••••••••••••­­•••••••••••••••••••••••••••••••••••• Picture by 0bakasan: Deviantart: http://0bakasan.deviantart.com/ Facebook: https://www.facebook.com/usanekorinart Picture Download: http://0bakasan.deviantart.com/art/Shigatsu-Wa-Kimi-No-Uso-516602564 ••••••••••••••••••••••••••••••••••••••••­­•••••••••••••••••••••••••••••••••••• Arctic Empire Playlists: Journey Playlist :http://bit.ly/2nBRuv1 Gaming Playlist: http://bit.ly/1IW9TIZ Chillstep & Chill: http://bit.ly/1KVDRdk Melodic Dubstep & Electronic: http://bit.ly/1KY0vSs Chill Trap & Future Bass: http://bit.ly/1OIXMP6 House: http://bit.ly/1VMgHhC ••••••••••••••••••••••••••••••••••••••••­­•••••••••••••••••••••••••••••••••••• *If you as an artist(artwork or music)/label have anything against my uploads (use of content etc. ), please don't make a scene, send me a private message here(Youtube), Google+ or my email address: arcticempire@outlook.com and I'll take it down. Chillstep is love, chillstep is life. Seriously though, I've been looking forward to share another chillstep collection with you guys, so here it is! 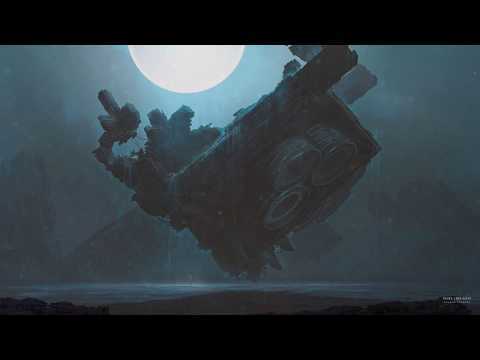 If you like this chillstep mix then drop a like, share it around and leave a comment :) If you like what you see/hear, you're welcome to join The Empire: http://bit.ly/1uYmLU2 ♪Download/Stream: http://bit.ly/1TsrJWk Join The Empire: Facebook: http://on.fb.me/1xwpKED Twitter: http://bit.ly/1tp7bwV SoundCloud: http://bit.ly/1xqHgev Snapchat: arcticempireee ••••••••••••••••••••••••••••••••••••••••­­•••••••••••••••••••••••••••••••••••• Amazing Chillstep Collection Tracklist: KISNOU X Silencyde - Awakening 0:00 Anima - You Are Truth 5:03 CMA - So Far Away (Instrumental) 11:41 Two Ways - These Years [Arctic Special] 16:13 Finding Hope - Serenity (Audile - Serenity) 19:32 Kozoro - Autumn 22:46 SizzleBird - Midnight 25:58 Michael St Laurent - Reverie - 29:22 October Child - Yuki 33:06 SizzleBird - Mystic 36:23 Anima - Walk Again 39:40 CMA - Ethereal 43:01 Finding Hope - Wonder 47:15 CMA - Open Your Eyes 50:55 Electus - Follow Me 55:49 KISNOU - Alive (Instrumetal Mix) 58:43 Aeon Waves - Into The Lights 1:03:55 ••••••••••••••••••••••••••••••••••••••••­­•••••••••••••••••••••••••••••••••••• Support the producers Follow KISNOU Soundcloud: https://soundcloud.com/kisnoumusic Facebook: https://www.facebook.com/KISNOU Follow Silencyde Soundcloud: https://www.soundcloud.com/Silencyde Facebook: https://www.facebook.com/Silencyde Twitter: https://www.twitter.com/Silencyde Follow Anima. SoundCloud: https://soundcloud.com/animassound BandCamp: http://animassound.bandcamp.com/ Facebook: https://www.facebook.com/Animasface?fref=ts Follow CMA Facebook: https://www.facebook.com/CMAMusic Twitter: https://twitter.com/CMA_Music SoundCloud: https://soundcloud.com/cma-music Follow Two Ways (a.k.a Arctic Empire) Soundcloud: https://soundcloud.com/twowayss Facebook: https://www.facebook.com/twowayss/?fref=ts Follow Finding Hope (a.k.a Audile) Soundcloud: https://soundcloud.com/findinghopemusic Facebook: https://www.facebook.com/officialaudile Follow Kozoro Soundcloud: https://soundcloud.com/kozoromusic Facebook: https://www.facebook.com/KozoroMusic Twitter: https://twitter.com/KozoroMusic Follow SizzleBird Soundcloud: https://soundcloud.com/sizzlebird Facebook: https://www.facebook.com/SizzleBird Follow Michael St Laurent Soundcloud: https://soundcloud.com/michaelstlaurent Facebook: https://www.facebook.com/Michael-St-Laurent-Music-146341122089178/ Follow October Child Soundcloud: https://soundcloud.com/octoberchildmusic Facebook: https://www.facebook.com/octoberchildmusic/?skip_nax_wizard=true Follow Electus: Facebook: https://www.facebook.com/ElectusOfficial Youtube: http://www.youtube.com/user/ElectusOfficial SoundCloud: https://soundcloud.com/electusofficial Follow Aeon Waves Soundcloud: https://soundcloud.com/aeonwavesmusic Facebook: https://www.facebook.com/AeonWaves?ref=hl ••••••••••••••••••••••••••••••••••••••••­­•••••••••••••••••••••••••••••••••••• Picture By Aurora: Deviantart: http://auroralion.deviantart.com/ Picture Download: http://auroralion.deviantart.com/art/Departure-566007397 ••••••••••••••••••••••••••••••••••••••••­­•••••••••••••••••••••••••••••••••••• *If you as an artist(artwork or music)/label have anything against my uploads (use of content etc. ), please don't make a scene, send me a private message here(Youtube), Google+ or my email adress: arcticempire@outlook.com and I'll take it down. 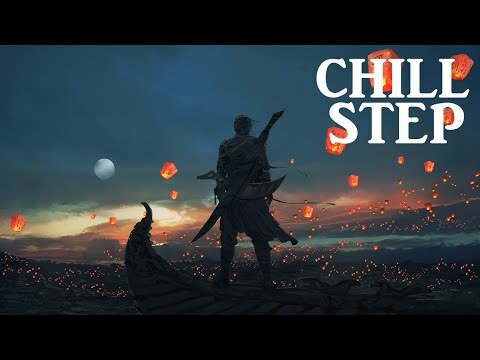 Chillstep 2016 | Beautiful Chillstep | Best of Chillstep | Chillstep mix 2016 | Gaming Music Sound Track: Anatomy - Mountains Blure - Our Madness (feat. Car) Clear Skys - With You Cole Sipe - Guide (feat. Alexis Anelli) Crystal Skies - Lost In The Sky (feat. The Eden Project) Desso - Better Days Drop Tower - Dream LIFU - Escape Me ft. Gillian Rhys OverHertz - Lazy Daze OverHertz - Take Me Away feat. Aiva Shinji Orito - Snowfield -DMD & NGC 3.14 Remix- Skyvoice - Shattered Skies Whithe - Mistakes Wisp X - Memories Of Another World Zoë Phillips - Boat (Rameses B ft. Lambert McGaughy) Tags Ignore: ''Chill'' ''Mix'' ''ChillStep'' ''ChillStep Mix'' "Chill Music Mix 2016" "Best of Chill music" "chill music" "step mix" "chill step music mix" "Chill remix" "1 hour chillstep" "2 hour chillstep" "3 hour chill step" ''Chill step Mix 2016'' ''Chill Step Mix 2015'' ''ChillStep 2015'' ''ChillStep 2016'' ''Chillstep 2014'' "ChillStep" "Chill" "Liquid" "Liquid Music" "Future" "ChillStep Mix" "Future Mix" "ChillNation" "Chill Out Music'' ''chill step xkito'' ''chill step remix'' ''chill step beat'' ''chillstep mix january'' ''chill step mix february'' ''new music 2016'' ''new music 2016'' ''best mix 2016'' ''mix 2016'' ''chill music'' ''chill out music'' ''chill music'' ''chill mix'' "beautiful chillstep"
Interstellar | Epic Chillstep & Melodic Dubstep Mix. 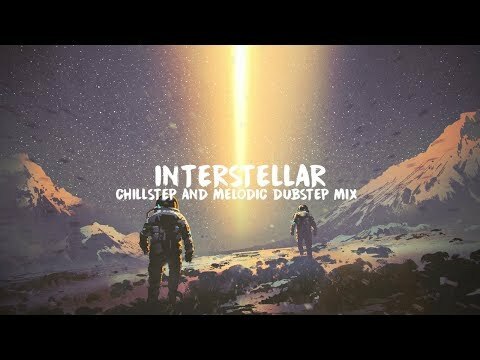 A 1 hour chillstep & melodic dubstep mix from yours truly! Hope you like it and if you do remember to like, comment and share. Join The Empire on Spotify: https://spoti.fi/2y6lNgx Join The Empire on Youtube: http://bit.ly/1uYmLU2 Join The Empire on Twitter, Soundcloud and Snapchat! Twitter: http://bit.ly/1tp7bwV SoundCloud: http://bit.ly/1xqHgev Facebook: http://on.fb.me/1xwpKED Snapchat: arcticempireee ••••••••••••••••••••••••••••••••••••••••­­•••••••••••••••••••••••••••••••••••• Tracklist: 0:00 Hans Zimmer - Interstellar (Abandoned Remix) 5:20 Blackmill - Love At Heart 10:35 Sappheiros - Falling (feat. eSoreni) 14:40 Vexaic - I Will Find You 17:18 Cold State - Serendipity 20:29 Kaizen & Shinigami - Bloom 25:53 Cash - Discourage 30:25 Halycon - Beyond 33:51 Adventure Club - Firestorm (feat. Sara Diamond) (Abandoned Remix) 38:03 Crywolf - Silk (feat. Mothica) (Midoca Remix) 41:51 Halcyon - Stars Of Us 46:17 AK & Veela - Digital Angel 50:23 Rameses B - Butterflies 55:04 Cash - Nocturne ••••••••••••••••••••••••••••••••••••••••­­•••••••••••••••••••••••••••••••••••• Picture by Tithi Luadthong Shutterstock: https://www.shutterstock.com/g/tithi+luadthong ••••••••••••••••••••••••••••••••••••••••­­•••••••••••••••••••••••••••••••••••• *If you as an artist(artwork or music)/label have anything against my uploads (use of content etc. ), please don't make a scene, send me a private message here(Youtube), Google+ or my email address: arcticempire@outlook.com and I'll take it down. None of this is mine, go check out the artists who really did such great jobs! 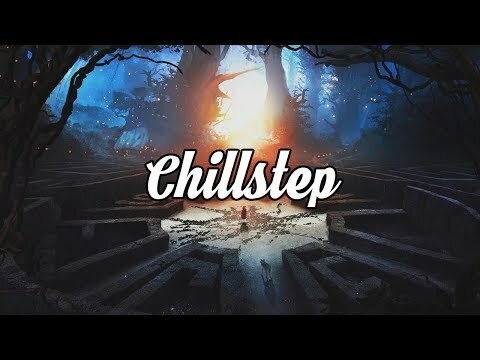 Chillstep Mix - Extreme Relaxation Chillstep 1 HOUR - 2016 ▻Subscribe for more epic Mixes! : ▻Hit that like button! 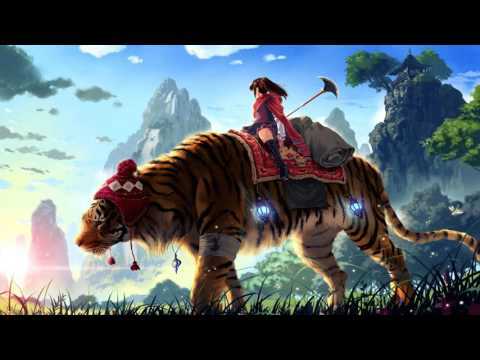 chillstep Chillstep CHILLSTEP Epic Chillstep Collection 2015 [2 Hours] chilstep chillstp chilstp chill chilled dubstep chilled dubpstep dupstep . 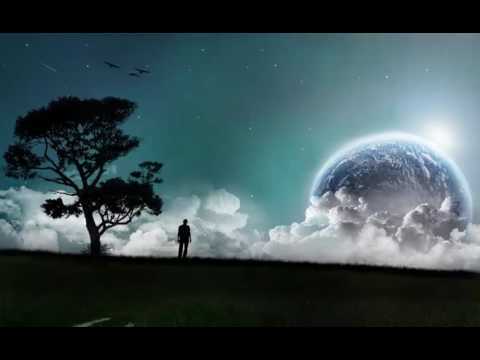 Lunacy Chillout ▻ Like us on facebook: ▻ SUBSCRIBE on YouTube ♫ Your daily . Relaxing Chillstep Mix - 1 Hour Absolute Chilling Music Mix ▻Subscribe for more epic Mixes! : ▻Hit that like button! Amidst the many "Best Melodic Dubstep Mixes (2013, 2014, 2015...)" I give you a 2 hour epic melodic dubstep/dubstep collection for you guys & girls to enjoy. It's filled with some amazing producers such as Crywolf, Skrux, T-Mass, Culture Code, Trivecta and many more! Have fun listening and remember to like, share and leave a comment (always fun to read). If you like what you see/hear, you're welcome to join The Empire: http://bit.ly/1uYmLU2 ♪Download the mix: http://on.fb.me/1A94RjL ♪Download the mix on SoundCloud: http://bit.ly/1Abi4JK Join The Empire: Facebook: http://on.fb.me/1xwpKED Twitter: http://bit.ly/1tp7bwV SoundCloud: http://bit.ly/1xqHgev ••••••••••••••••••••••••••••••••••••••••­­•••••••••••••••••••••••••••••••••••• Tracklist: Dualistic - The One (feat. Meron Ryan) 0:00 Trivecta - The Surface 4:07 Illenium X Said The Sky Feat Jeza - In Your Wake 08:00 Culture Code - Dreamers feat Aloma Steel 13:01 Crywolf & Ianborg - Runaway 16:52 The Eden Project - Crush 22:18 Crywolf - Home We Made Pt.II (Skrux Remix) 26:02 Snow Dayy - The Tunnel (Said The Sky Remix) 30:46 Celani & No.vision - Fortress Of Dreams (feat. Maria) 34:46 Wonder Wonder - Shark (Illenium Remix) 39:14 Dezolent - No Fear 43:46 Class-X - Avalon 47:56 Crywolf & Ianborg - Oceans, Pt II 51:08 Skrux - Hidden 55:26 Skrux - Being Human (T-Mass Remix) 1:00:43 Crystal Skies – Continuum (ft. Oneira) 1:05:03 Felxprod - Revival 1:08:56 Venemy & Said The Sky - Dreaming 1:12:26 Mendum - Stay With Me (Krys Talk Remix) 1:15:14 T-Mass - The One (Venemy Remix) 1:18:41 Aether - Stargazer 1:22:23 Skrux - If You 1:26:29 Elliot Berger - Broken 1:30:35 Reaktion - Bass Of The Future 1:33:33 Illenium - So Wrong 1:36:49 Reaktion - Save Me (ft. The Eden Project) 1:41:03 The Eden Project - Chasing Ghosts 1:44:51 Kasbo - Dance With You 1:48:41 Urban Contact - Million Questions 1:51:36 Skrux & Venemy - Eternity 1:55:48 Thanks for listening and remember to support the producers! ••••••••••••••••••••••••••••••••••••••••­­•••••••••••••••••••••••••••••••••••• Artwork Artist: Follow Kuldar Leement Official Website: http://www.kuldarleement.eu/ Deviantart: http://kuldarleement.deviantart.com/ Facebook: https://www.facebook.com/pages/Visual-artist-Kuldar-Leement/176137335735576 Tumblr: http://a-million-little-fibers.tumblr.com/ Artwork Download: http://kuldarleement.deviantart.com/art/Dark-like-rain-490378925 ••••••••••••••••••••••••••••••••••••••••­­•••••••••••••••••••••••••••••••••••• All mixes are avaliable on soundcloud/facebook. Facebook Download: http://on.fb.me/1A94RjL Soundcloud Download: http://bit.ly/1xqHgev ••••••••••••••••••••••••••••••••••••••••­­•••••••••••••••••••••••••••••••••••• *If you as an artist(artwork or music)/label have anything against my uploads (use of content etc. ), please don't make a scene, send me a private message here(Youtube), Google+ or my email adress: arcticempire@outlook.com and I'll take it down. Relaxing Chillstep Mix - 1 Hour Absolute Chilling Music Mix ▻Subscribe for more epic Mixes! : ▻Hit that like button! Relaxing Chillstep Mix - 1 Hour Absolute Chilling Music Mix ▻Subscribe for more epic Mixes! : ▻Hit that like button! 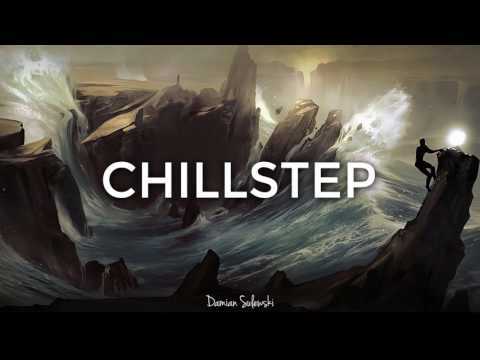 chillstep Chillstep CHILLSTEP Epic Chillstep . 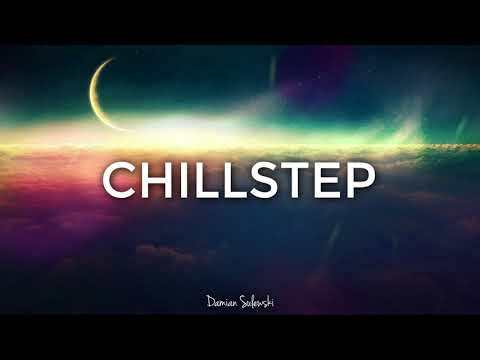 chillstep Chillstep CHILLSTEP Epic Chillstep Collection 2015 [2 Hours] chilstep chillstp chilstp chill chilled dubstep chilled dubpstep dupstep . enjoy and don't forget to sub ;) DOWNLOAD: http://www.mediafire.com/listen/6vtkt... Want to submit a track? Ive set up a new platform! https://www.toneden.io/foreverchill Facebook ► https://www.facebook.com/ForeverChillMusic Subscribe ► [https://www.youtube.com/user/HDubNation] Twitter ► https://twitter.com/forever_chill Wallpaper: http://i.imgur.com/n3yGEsd.jpg Wallpaper with ForeverChill logo: http://i.imgur.com/CadgcXW.jpg TRACKLIST: [0:00] Band Of Horses - The Funeral (Butch Clancy Remix) [5:05] The Walton Hoax-Exit Strategy (Ghosts Of Paraguay Mix) [10:40] You Appear [14:58] Moan (ENiGMA Dubz Remix) [20:13] Evil Beauty [24:01] Waiting for Heaven [29:16] Forgetting You [33:46] Nocturne [38:21] The Awakening [43:54] Lubilu (Stumbleine Remix) [47:28] Cillo - Breathe (Vocal Mix) [53:58] Break You Down Ft. Sanna [58:59] Rolling In The Deep (Damn You Mongolians Dubstep Remix) [1:03:40] Bon Iver- Skinny Love (Das Kapital Rerub) [1:08:27] Werewolf (Omega Remix) [1:15:39] Tonight (Mokhov Remix) [1:19:10] Breathe (Cally D Remix) [1:23:23] Something In The Way (Biscope Boot) [1:28:12] Flight Facilities - Crave You (Adventure Club Dubstep Remix) [1:32:08] Cassius - I Love U So (Milestone Mix) [1:35:50] I'd do Anything (Ghosts Of Paraguay Future Cut) [1:40:44] Identity [1:45:19] Metric Collect call (Imjj Remix) [1:51:03] Mishaps Happening (Flux Pavilion Remix) [1:57:05] Paper Crows FTL (George Lenton remix) If you are the owner of any copyright material PLEASE contact me! I will remove it immediately - All music posted is for promotional purposes only. If you like the music, please support the artists by buying their music through the given portal links. All rights to published audio, video, graphic and text materials belong to their respective owners. If you are the author or copyright owner of any of the material I use, and you don't like it to be used by us, please contact me.